Quick Verdict: Fast pace, lovable characters, and promising intrigue. Last week, the new drama Strong Woman Do Bong Soon premiered, and I’ve been waiting for this one, so I jumped right on it. And it was actually better than I expected it would be! Which is saying something, because I’ve been desperate for something to love after Shy Boss and Tomorrow With You kinda let me down. I had high hopes for miss Do Bong Soon! For starters, Do Bong Soon is flippin adorable. Look at this cuteness. And while we’re on that scene, this whole word play was hysterical. 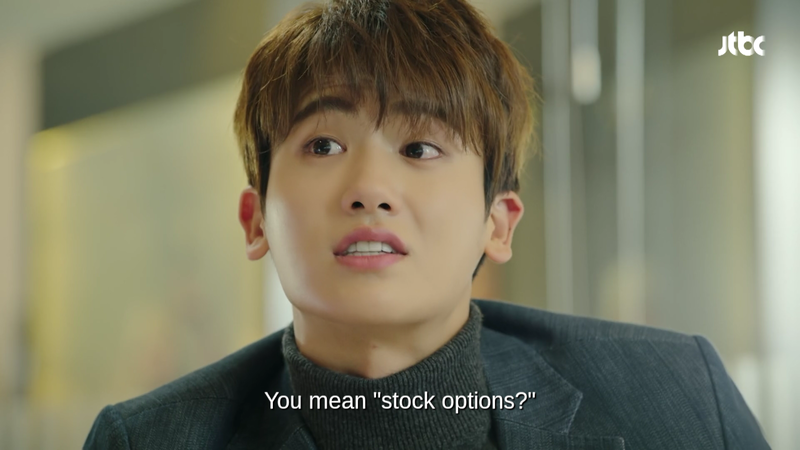 She asked if he offered “stop motion,” when she really mean “stock options.” Aigoo, I love it when their word play is English-based so I can get it! As far as the story goes, I like that her abilities are supernatural. She’s the Korean Supergirl, with super strength that disappears when she uses it selfishly. I’m sure that will be a great plot point later on. I also like that she kind of wants to use her super strength, but it mostly just causes her anxiety, and she uses it sparingly. The humor in the drama, so far, has been a little slapstick. I confess, that kind of stuff makes me giggle! Bring on the silly. The lead guys are hot, but I don’t know which one I like better yet. 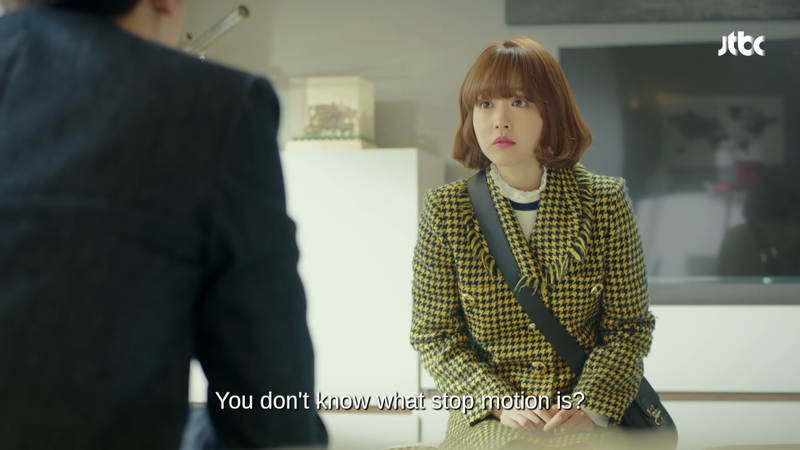 They’re both quite stoic, which is unusual for Kdramas. 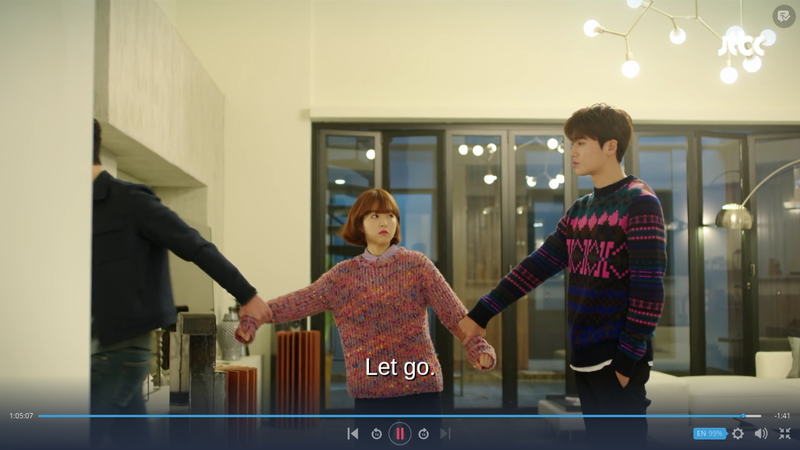 The second lead acts like he doesn’t like her, and the main lead, of course, just things Bong Soon is nuts. I’m looking forward to how that dynamic plays out! The bad guy is CREEPY AS SIN. 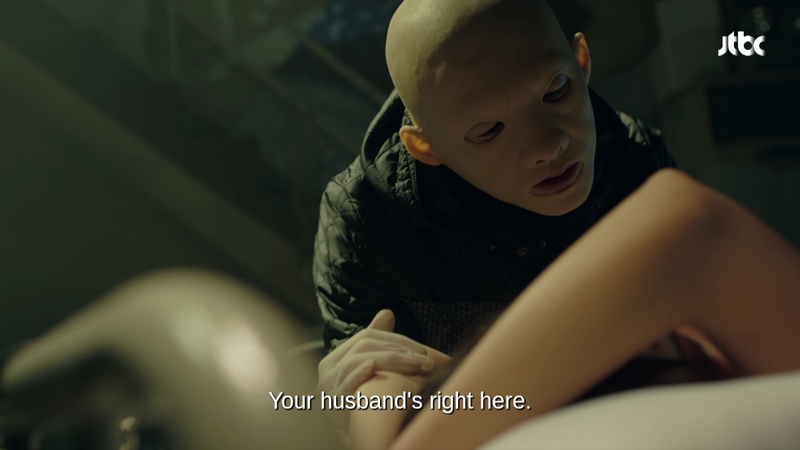 So even though this drama is quite silly at times, and definitely plays up its aegyeo factor, it also has an intriguing plot that is sure to keep me interested for the time being. Overall, I love it, and I’m hoping the pace can stay strong! Especially when its second episode left off with a classic double wrist grab and two hot guys fighting over one cute Supergirl! Yes please. More please. Thank you. Have you watched this one yet? What did you think? Thanks for stopping by, Kfans! It does have a good premise! They are handling the idea well, too. It’s all cohesive! Let me know what you think if you watch it! * You made me smile with “flippin adorable”! Thank you!! 😀 Love having you stop by! I would love that! Email me your kakaotalk ID? I’d love to join in! okay just send me a message when you have added me already… it’s jediprincess ^_^ Happy Weekend!